On Falling Skies, the human resistance struggles for survival in the wake of a catastrophic alien invasion. The cast includes Noah Wyle, Moon Bloodgood, Will Patton, Drew Roy, Colin Cunningham, Connor Jessup, Maxim Knight, Sarah Sanguin Carter, Mpho Koaho, and Seychelle Gabriel. While the series is still performing well for TNT, the (current) fourth season is down by 14% in viewership when compared to season three. The audience for Falling Skies has been declining since the first season when it averaged 4.7 million viewers each week. The Last Ship and Major Crimes have also been renewed for next summer. What do you think? 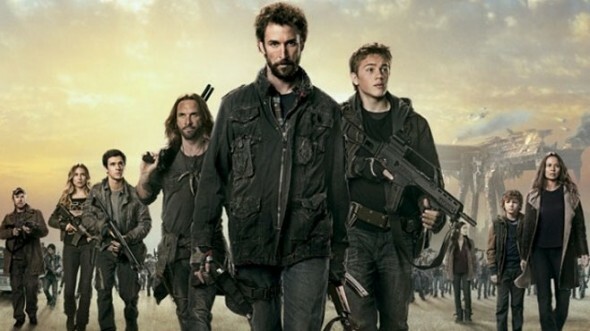 Are you glad that Falling Skies will be back next summer? Do you agree with the decision to end it?